The following contains some spoilers for Captain America: Civil War. While the Marvel Cinematic Universe takes many of its cues from the comics on which it is based, it’s also not afraid to change things up when necessary. Such was the case when Zemo, the newest villain in the MCU, appeared during Captain America: Civil War. While he has the name of one of Captain America’s most popular villains, the man that we see in Civil War is very different from his comic book counterpart. According to the writers of the film, it was necessary, as the motivations of the original Baron Zemo simply would not have worked. One of the key elements of Captain America’s history is that he’s a soldier who ends up frozen during World War II. This has never changed. However, what it does mean to the character is that, the more time that passes since the war, the longer Captain America ends up frozen. This longer separation from World War II means that it’s difficult to justify any villain who would be motivated by it, as Stephen McFeely tells Yahoo. There are two Zemos in the comics. One’s a World War II villain, and then one’s his son. So he’s a '60s villain. So we would really have to stretch all of that given that it’s the MCU and Steve is 70 years removed as opposed to when they unthawed him in the comics and it’s 20 years. Rather than have him motivated by something that Captain America did to his family 70 years ago, this Helmut Zemo, played by Daniel Bruhl, is motivated by a much more personal connection to the Avengers. He was a Sokovian soldier who lost his family during the closing events of Avengers: Age of Ultron. Apparently the writers did consider giving the character an entirely separate name, since he really wasn’t the traditional Zemo, but ultimately decided the character was better using the name. In the end, this was almost certainly the right move. While Zemo could have done all the same things because he hated Captain America for what Cap had done to his family decades ago, it would have been much harder to justify that grudge. Even if they’d tried, that would have been additional screen time taken up by Zemo, when the true focus of Captain America: Civil War was designed to be the heroes. While Zemo’s contribution to the plot is important, it’s never the focus of the film. 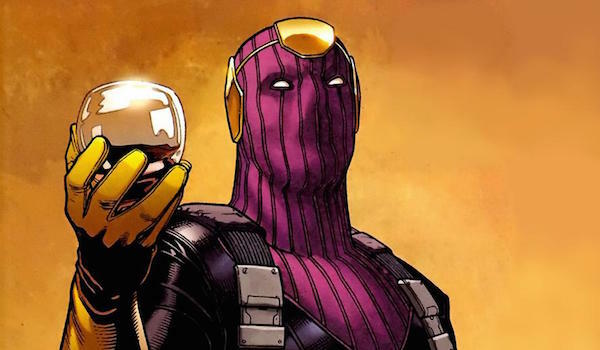 Would you have rather seen a traditional comic book version of Baron Zemo, or do you prefer the one that we got? Let us know what you think in the comments.